Excavations, Interrogations, Krishen Jit & Contemporary Malaysian Theatre, edited by Charlene Rajendran, Ken Takiguchi and Carmen Nge, is a long overdue resource that sheds light on important aspects of the cultural, artistic, and political histories of Malaysian contemporary theatre—and, by extension, some medullar elements of Singaporean theatre too. The book is the sui generis publication of the proceedings of a conference held in January of 2015 in Kuala Lumpur, which was organized in celebration of the tenth anniversary of Krishen Jit’s death. In case the reader does not know who he was, Krishen was a paramount figure in the history of contemporary theatre in Malaysia and Singapore during the last third of twentieth century. 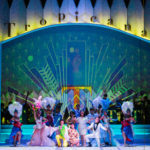 The book includes valuable reflections and materials, but these can also be too personal or self-referential and therefore make a newcomer into Malaysian or Singapore theatre feel alienated from their key contributions. In this sense, I suggest that the book is more useful if read more as a network of the people that write in it and less as a homage to Krishen Jit. 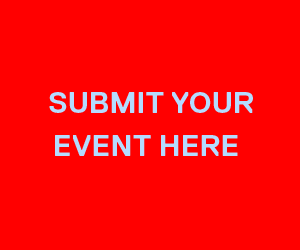 Each of the essays included in the book remember, comment on, or refer to something about the conference. In doing so they also address a specific aspect or ramification of Krishen’s memory, his labour and impact on the regional stage. Some of the contributions, such as Alvin Eng Hui Lim’s “In Some Incarnaton or Another”—Encountering the Presence of Krishen Jit or meLê yamomo’s Making Sense of an Unfinished Business, make more ambitious theoretical connections with debates in theatre and performance studies that deal with performance archives, memory, sensoriality, and media theory. yamomo’s in particular, is a nuanced piece that draws the book to an end in an sybarite way—that is, intellectually and visually luxurious. Others, such as the first few chapters in the book by Charlene Rajendran, Makoto Sato, Marion D’Cruz, and T.K. Sabapathy, offer more personal accounts that collectively fan fleeting but endearing memories of Krishen Jit. Lastly, another sort of contribution address in one way or another Krishen’s theatrical legacies, both in the form of his direct mentorship or of his impact in the theatrical discourse of Malaysia and Singapore during the 1980s, 1990s, and early 2000s. Here, the contribution by Claire Wong and Huzir Sulaiman, is the most remarkable one. Carrot/Pantun/Dance, is the script of a performance presented by Wong and Huzir at the conference, which I dare say lends itself to a more extensive analysis on its own (which I will not do here, but I would be happy to expand on given the occasion) given that as a play that scripts a post-show dialogue, it raises compelling questions about memory, theatricality, and spectatorship. Beyond these initial remarks, it is hard to review the book critically given that at its centre lays the erection of a monument to a man who, without shadow of a doubt, has left such a deep imprint in the lives of many. So, allow me to be blunt. In doing so my intention is not to downsize or bitter the experience of reading this book. Simply, I would rather start by saying what many will think about the book yet dare not say. While reading Excavations, Interrogations, Krishen Jit & Contemporary Malaysian Theatre from cover to cover I often felt excluded by the constant remembrance and mystification of Krishen and his legacy. 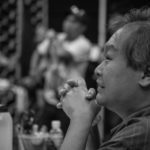 The book makes the exercise of discerning where the nostalgia of his friends and collaborators ends and where the actual contribution to the articulation of a history and theory of Malaysian theatre begin almost impossible to tell. Perhaps there is no such distinction and, if that is indeed the case, I welcome the book’s standpoint to emphasise the porous boundaries between the personal and the public, the monumental and the critical, the practice and the theory. Yet the performance of re-enacting Krishen’s ghost is unsurmountable, and so the book may dangerously come close to putting forward a “ Krishean hermeneutics” that is only accessible to the initiated rather than a book to be completed by the reader, as the introduction claims. Seeing past this, however, and appreciating that the editors are honest and upfront about the intentions of the book to remember Krishen, one can invest a little more work and appreciate what the book is doing beyond enacting Krishen’s ghost and incarnation. The book, like Krishen, is a node. By this I mean to say that the both of them are connectors or connecting points in the context of Malaysian and Singaporean theatre. Behind copious amounts of praise and remembrance—below every single word that claims to remember Krishen—what the book is actually doing is to mirror Krishen’s nodal agency. And this, in my view, is the biggest takeaway from reading it. Allow me to elaborate: A line that is repeated several times in the book is that knowing Krishen is knowing the people that worked with him. The book is a symposium of that people—those who worked with him—but it is also extensive and includes people that met him but never worked directly with him. Reading the book less as a monument and more as node allows one to realise that knowing the people that work with Krishen is also realising that if one has worked in Malaysia or Singapore in the last twenty years (at least), one is unequivocally connected to Krishen. But our reading of the book’s nodal agency should not stop there—after all, that would emphasise the monumental statue of the man. We should follow the network further, for its own worth, and come to the realisation that beyond the ephemerality of a director’s work and the tiresome efforts by others to preserve it and archive it, theatre is an unfinished business because it keeps connecting—like a root. Such is the radicality in and of theatre practice, and this is too what is really at stake when discussing Krishen’s work. As mentioned, the book is a follow-up to a conference that was titled Unfinished Business and I think this is an important detail that mustn’t disappear from the reader’s mind while reading. Every essay is an opening to a route into the network that once upon a time, had Krishen at its centre. In this sense, another recurring motif through several of the contributions is that Krishen networked quite extensively but did not do so in hopes of achieving some sort of international collaboration. Krishen networked because he wanted to enable and maintain long-lasting creative friendships and intellectual exchanges. I find this particularly striking. Here, finally, I found myself able to access the book and Krishen unmediated by others’ reminiscence. But I did not access them as a person or an archive, but as a network. Seeing this made me realise that I too stand in direct connection to Krishen’s impact as I found him years ago, in the preliminary work for my doctoral thesis, having left traces on the disciplinary histories of performance studies in Southeast Asia. The emphasis that the book makes on the investment of networking, of having nodal agency in one’s surroundings and on others’ endeavours—of making and keeping connections alive and vibrant for the sake of the connections themselves—is something that we often forget in the midst of trying to articulate our next big project, our big next international tour, or our big little stabilisation (as Tadeuz Różewics might have it). The fact that Krishen did not actively pursue international collaborations but rather built and sustained a regional network from which he fed and to which he contributed ideas and conversations is the unfinished business in itself. Indeed, how much of that are we doing today? What better homage is there to a man that loved to connect than connecting for the sake of making friends? Further even: The intrinsic connectivity of theatre-making, we often forget, is what makes theatre, as an concept and field of practice, be a site for radical rootedness in the first place. And in here is that I find the central question that the book suggests yet never expresses—the biggest question of them all, yet the tritest too: What is theatre? Between memories and provocations, the book exists in the tension of considering theatre as a transcendental ideal and a material embeddedness. Particularly, the annotations offered by the editors often ask what can theatre do, what can theatre be, how can theatre address… and so on. In stark contrast, the contributions highlight that theatre is not an idea that exists in its own predetermination (or in a heaven where all the great theatre masters go after they die) but rather a thing that is done by people and things (here, in the terrestrial and the mortal). As theatre scholars Sarah Bay-Cheng and Amy Strahler-Holzapfel remind us, theatre is not a body that dies but a material network that extends (2010). Theatre can only do what its makers do, can it only be what its actors are, can only address what its audiences think and feel. In localising theatre at this level is that Krishen’s presence, as the book captures it, leaves its strongest trace. If theatre is ever to be, it can only be in the capacity of those who make it and experience it. Such is the nodal agency that the book invokes and inspires. And such is the legacy that it carries forth—with or without Krishen Jit. Bay-Cheng, Sarah and Amy Strahler-Holzapfel. 2010. “The Living Theatre: A Brief History of a Bodily Metaphor” in Journal of Dramatic Theory and Criticism, 25:1, pp. 9-28. Nge, Carmen; Rajendran, Charlene. 2018. Excavations, Interrogations, Krishen Jit & Contemporary Malaysian Theatre (Singapore: Epigram). 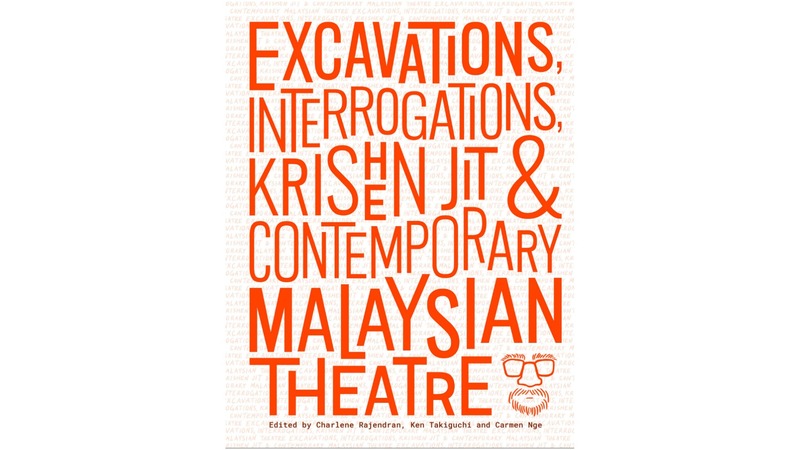 Excavations, Interrogations, Krishen Jit & Contemporary Malaysian Theatre was published by Epigram Books, Singapore, in 2018. It was edited by Charlene Rajendran, Carmen Nge and Ken Takiguchi.